Thanks to your prayers and support, the mission grant for Mercy House for Women and Children - Franklin Avenue Mission in Flint, Michigan is fully funded. This grant for Mercy House for $100,000 will be used to redesign, renovate, refurbish, and furnish the residence. Named Mercy House for Women and Children, the facility will house six to eight homeless, pregnant, and/or abused women and their children. Located in one of the poorest cities in America, the home will attempt to break the cycle of poverty and decrease the potential for abuse, by housing women and children in a safe, caring, Christian environment, where the best practices of parenting and relationship building can be modeled and taught. 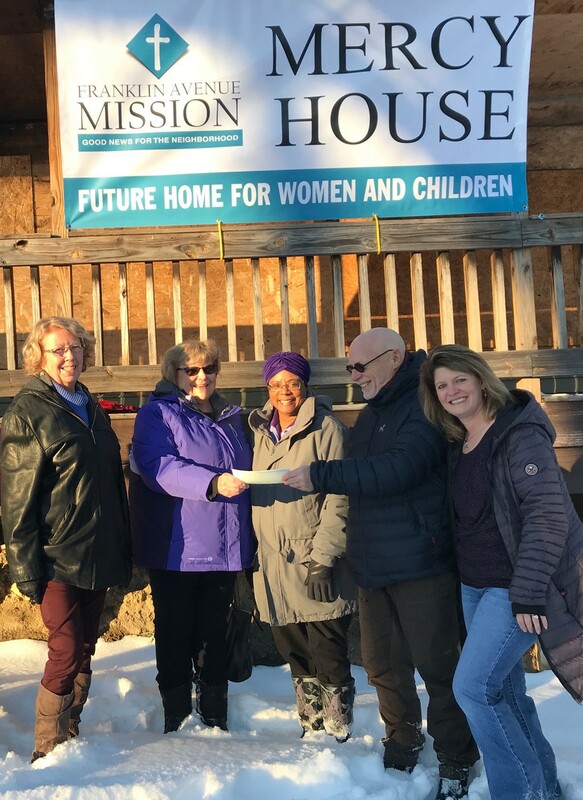 Pictured from left to right: Sue Aussen, Mercy House Program Manager; Michigan District President Susan Gruber, Kaye Wolff, Vice President of Special Focus Ministries; Pastor Bradley Yops, Mercy House Director; MaryBeth Heikkinen, Michigan District Vice President of Communication. 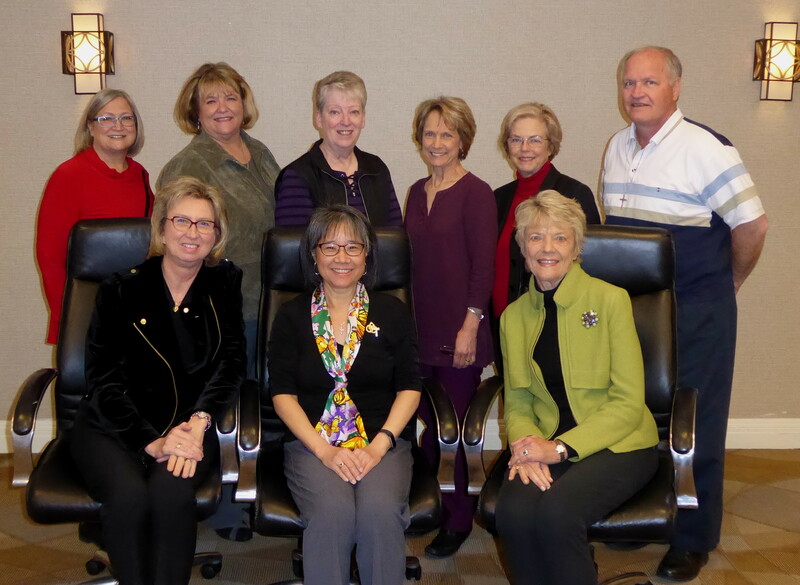 The 2017 LWML Restructure Task Force met for three days, December 7-9 in St. Louis looking at the structure of LWML. This appointed committee is a continuation of a review started in 2013. Findings will be presented to the Board of Directors in January. Chairman, Marie Chow, LWML Washington-Alaska District President. With fervent, sustained support of LCMS mission projects, Mission Central, located in Mapleton, Iowa, seeks to serve as an avenue for continued support for missionaries throughout the world to proclaim the Gospel of Jesus Christ. 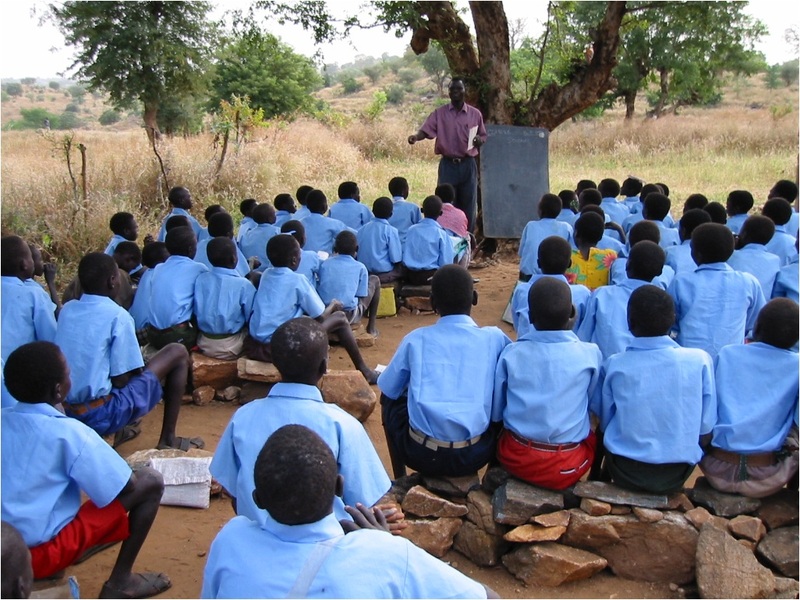 This grant provides a variety of necessary missionary resources such as orientation and training, language training, transportation to and in the country of service and on furlough, various types of insurance, housing, medical care, utilities, and education of missionary children, to name a few. Bulletin bytes, devotion, prayer guide, and story are now available here. Celebrating 75 years of serving our Lord in missions banners are now available! These banners could be used for various LWML District celebrations, publications, or website. Find them here. LWML President Patti Ross and Treasurer Marilyn Schroeder traveled to New Orleans, November 16-18 to attend the Lutheran Church Extension Fund Conference, love.BOLDLY! Men and women across the country involved with LCEF met to be inspired to love, boldly, in their Christian lives. Individuals and ministries who have loved, boldly over the past year were recognized. 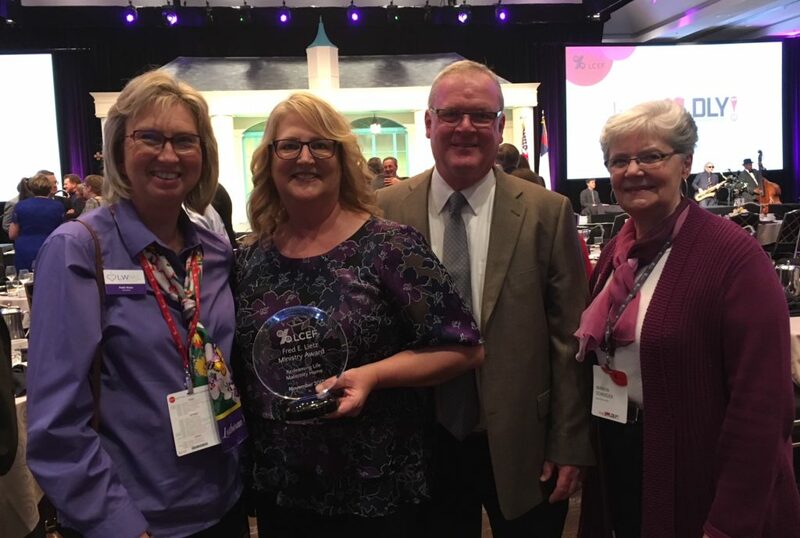 A ministry familiar to LWML received the Lietz Mission Project Award. Redeeming Life Maternity Home, (Redeeming Life Outreach Ministries), Sanford, Florida, a 2015-2017 LWML mission grant recipient and the founders, Rev. Ed and Sheryl DeWitt expressed thankfulness to the women of LWML for the grant they received. From now through the end of Epiphany, new subscribers of the Lutheran Women in Mission blog will be entered into a drawing to win a "Today's Light Devotional Bible" and "The Joy of Christmas Mustard Seed Devotions". If you are not a subscriber, visit blog.lwml.org. Once you subscribe you will be automatically entered into a drawing. After Epiphany you will be contacted via email if you have won.